Dogs, especially when they are young, seem to have endless energy. If it’s not channeled properly, that energy can turn into obnoxious and destructive behavior. That’s why canine exercise is key to having a happy, healthy dog. 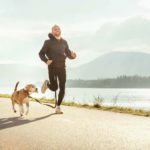 Making sure your dog gets enough exercise is key to helping him maintain a healthy weight. 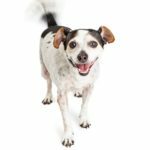 Be sure your dog gets plenty of healthy canine exercise. Like people, most dogs need 30 to 60 minutes of exercise per day. 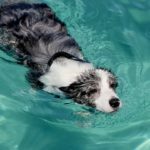 That can include any mixture of dog walks, swimming, hiking or agility. But take care not to push your dog too hard when he’s young. 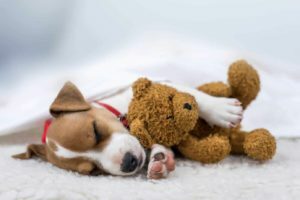 Forcing any puppy under the age of six months to exercise for an extended period of time can cause injuries. Forced exercise — any repetitive motion for an extended period of time — causes stress on developing joints and bones. That can include jogging, biking, rollerblading, skateboarding or even sled/cart pulling. 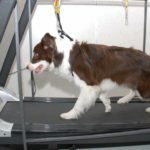 Dog winter exercise: Consider moving activity inside, use a treadmill or add enrichment toys to your dog’s daily routine to keep him healthy. 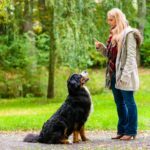 If your furry buddy has gotten a little heavy, there are steps you can take to help your dog lose weight. 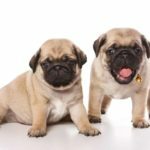 A pudgy pet may be cute, but one unburdened by health problems is infinitely better. 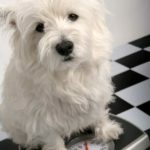 In addition to regular vet visits, ensuring a healthy dog weight is one of the best things you can do to help your dog live a long, healthy life. Bored dogs can do bad things. 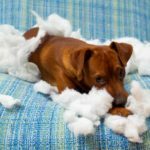 Keep your dog busy to prevent naughty behavior. Tired dogs behave: Use exercise to burn off excess energy and reduce anxiety. 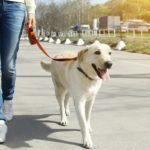 Regular walks, other activities can help your dog stay healthy. 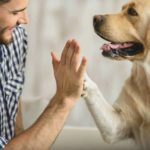 Channel your dog’s energy with healthy canine exercise like fetch, swimming or the mental stimulation of a Kong toy or food puzzle.